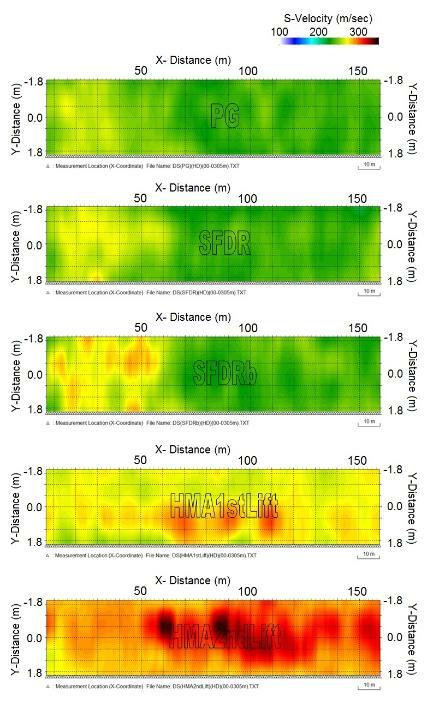 from an MASW survey (Park et al., 1999), is often used as a direct indicator of a material's stiffness. 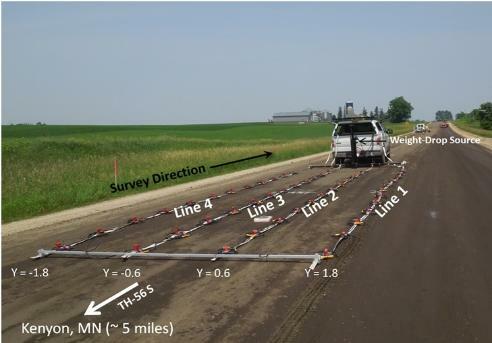 500-ft long segment on TH56 South approximately 5 miles north of Kenyon, MN (Figure1). test site near Kenyon, MN. 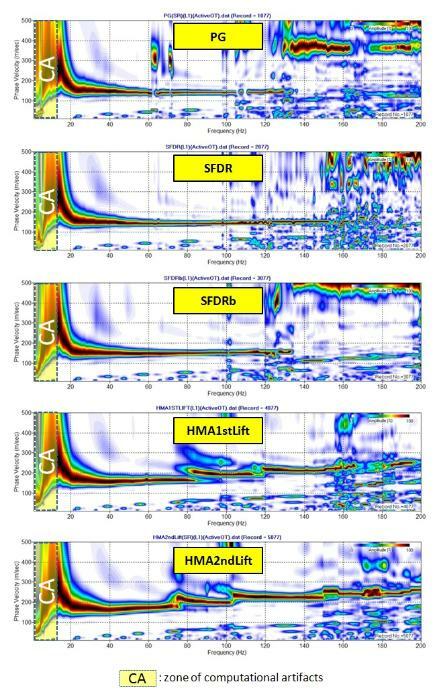 stage (SFDR and SFDRb), and two during the final HMA stage (HMA1stLift and HMA2ndLift). 1). A weight-drop source (WD/SASS) generated surface waves 2-m ahead of the closest geophones from the transverse center of the streamers. time to produce a total of 154 field records per survey ensuring the coverage of 500-ft (153 m) long segment of the test site. 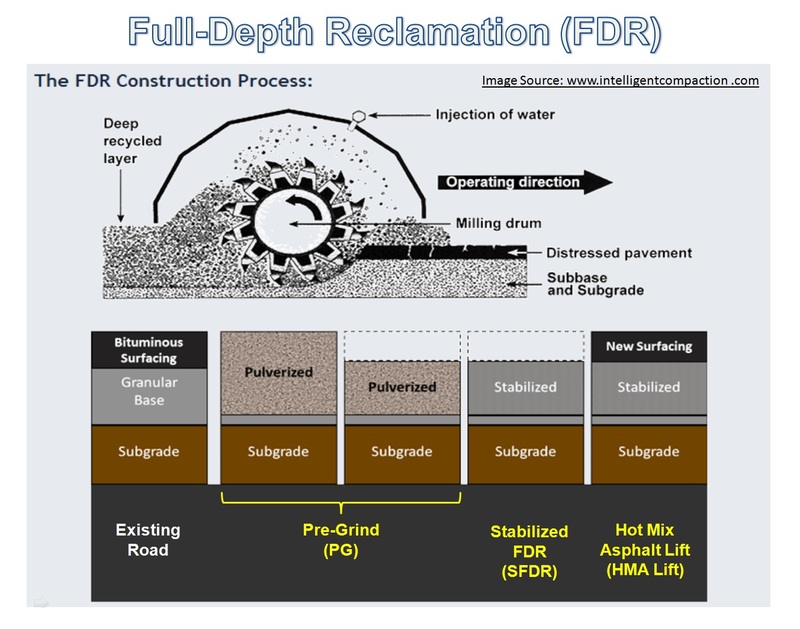 FDR construction is confined within top layer of about 0.3-m thickness. 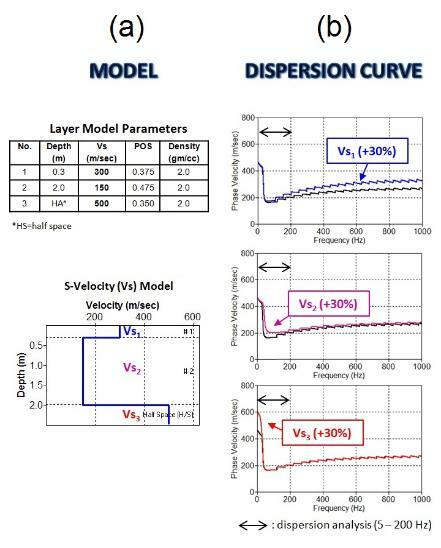 decrease, while the sensitivity in velocity (Vs1) change will increase. 30% for top (Vs1), subgrade (Vs2), and bedrock (Vs3) layers. images in an approximate common frequency range of 15-200 Hz. cross sections for line 1 are displayed in Figure 4 for all five (5) surveys. 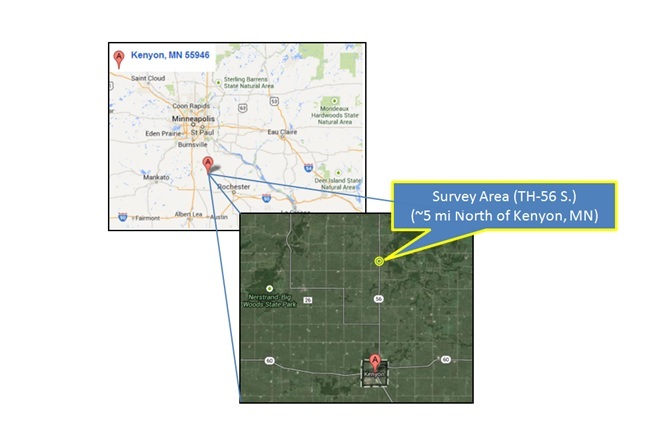 displayed in Figure 5 for all five (5) surveys. bedrock (e.g., 1-30 m) than the current depth of interest (e.g., 0-2 m). with MASW in sampling materials at depths of a few to a few tens of meters (e.
relatively shallower depths than normally used. layer itself without being influenced by other materials existing below. 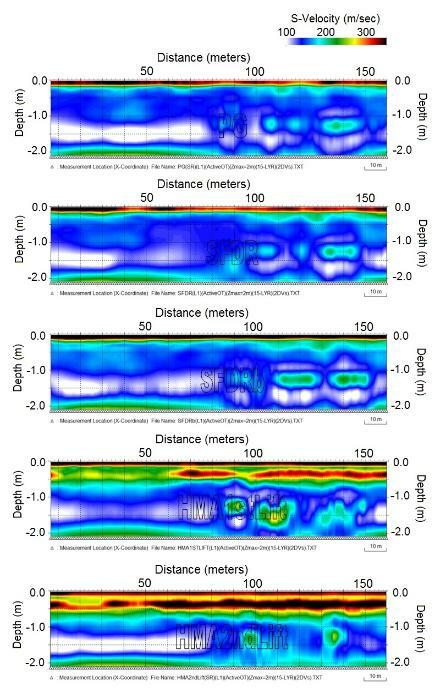 surface waves with the necessary spectral characteristics for this purpose (i.
especially for top about 1.0 m depth range. 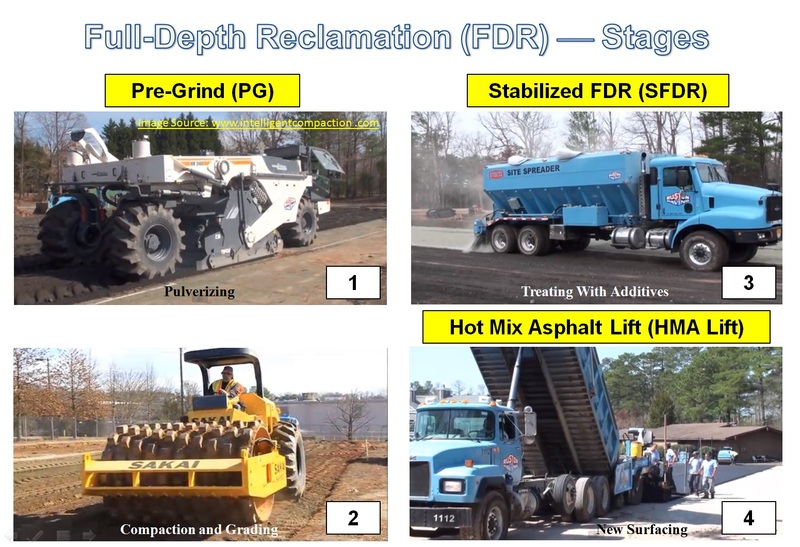 evaluation of base and pavement layers (i.e., absolute evaluation of Vs). within the analysis software, minimizing the need for operator intervention. 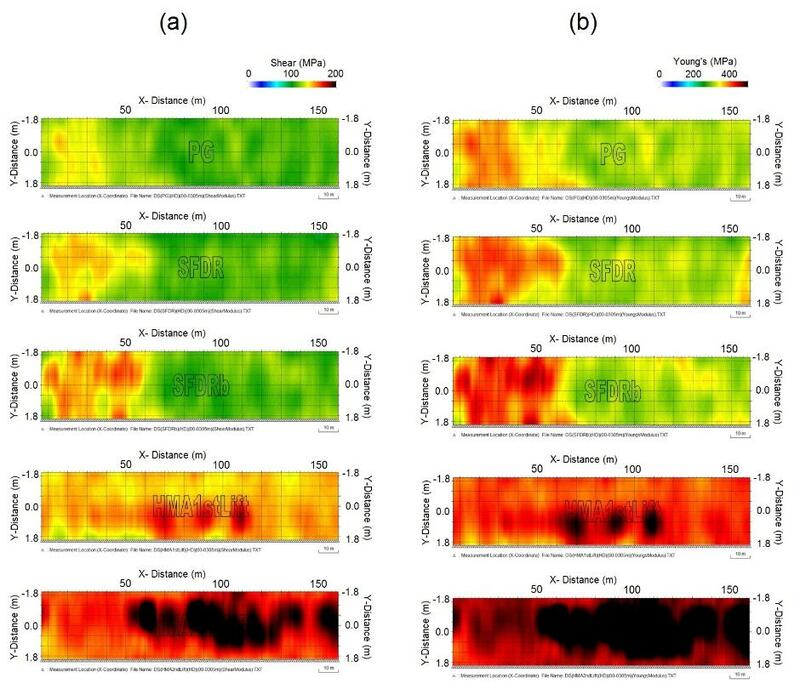 maps of stiffness in real-time mode as field survey proceeds. frequency range used to extracted measured dispersion curves (AM0's).